I do love a festival. See, this is what I mean about digging the Eurasian thing - I get to do alllllll the festivals. .......I am all over ALL of them. 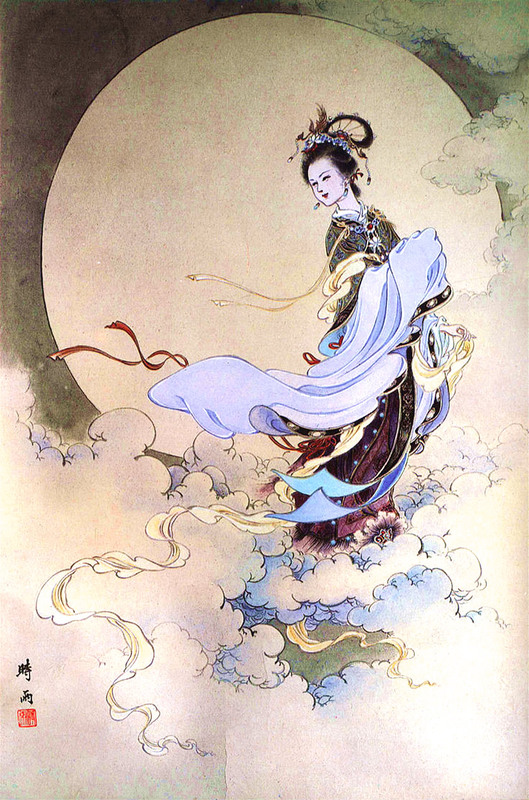 There are a few variations on the legends surrounding the Moon Fairy. 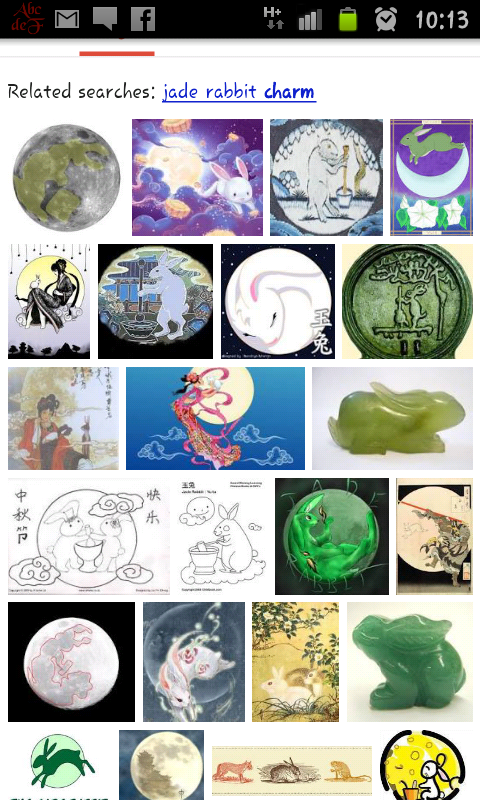 You should know that there is also a rabbit, on the moon but I don't know really how the rabbit fits with it all. Doesn't matter. I'm happy to accept the rabbit. And am not one to get hung up on semantics. Just as well considering what we are talking about here. And here's the story that my Mum told me. 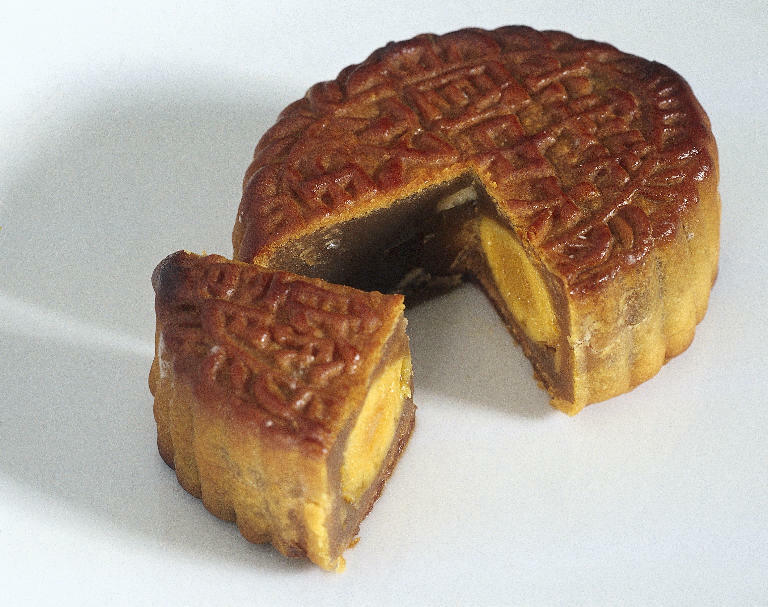 A long time ago, in China, a strange thing happened one morning. As you can imagine, this was exceedingly problematic. It was too hot, the crops wouldn't grow, they were all being burnt up. The ground was scorched and there was not enough water. The people and the animals started to die. Hou'Yi was a very skillful archer. The best in all the land and he had an idea to save China. 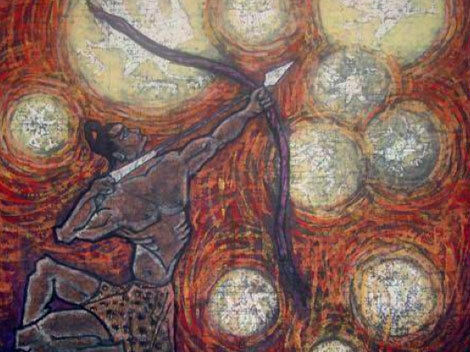 He would shoot down nine of the 10 suns. And everyone was greatly relieved and relievedly grateful - which, I guess, not being scorched up by 10 suns will do. 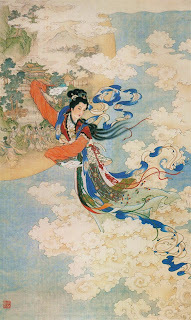 As a reward for his great service, the Heavenly Queen gave Hou'Yi a magic pill (some people say that it was an elixir but my Mum told me a pill so I am going with pill). This pill was a Pill of Immortality. 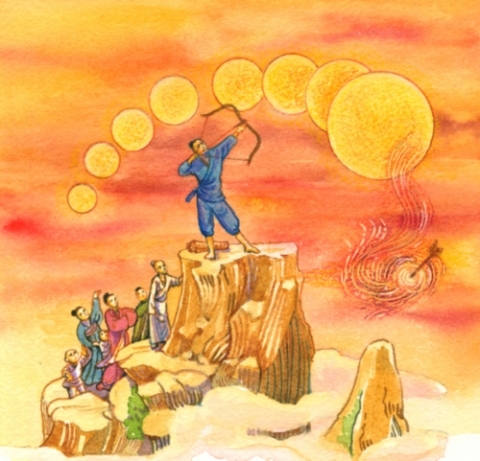 Thing is Hou'Yi had his head turned by all the fame and gratitude and, as it happens, was not such a nice guy. I don't have the details 'Not Very Nice Person' is enough I feel. So much so that his Wife felt that it would NOT be a good idea that this guy lived forever. So she went to find where he had hidden the Pill. She found it but, almost instantly Hou'Yi discovered her. She quickly hid it in her mouth but was so frightened by him shouting and questioning her, that she accidentally swallowed it! Hou'Yi was furious & started to chase her. 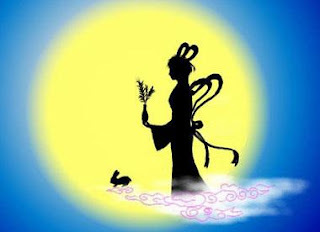 Chang'e was terrified and ran away as fast as she could. She ran and ran and ran ............................................ and ran and ran. ...........................................................................................but instead of falling to the ground, she started to float. Up, Up Up Up Up she floated, with Hou'Yi still on the ground trying to shoot her down with arrows. She floated all the way to the Moon & that is where she lives now, still. With a rabbit. 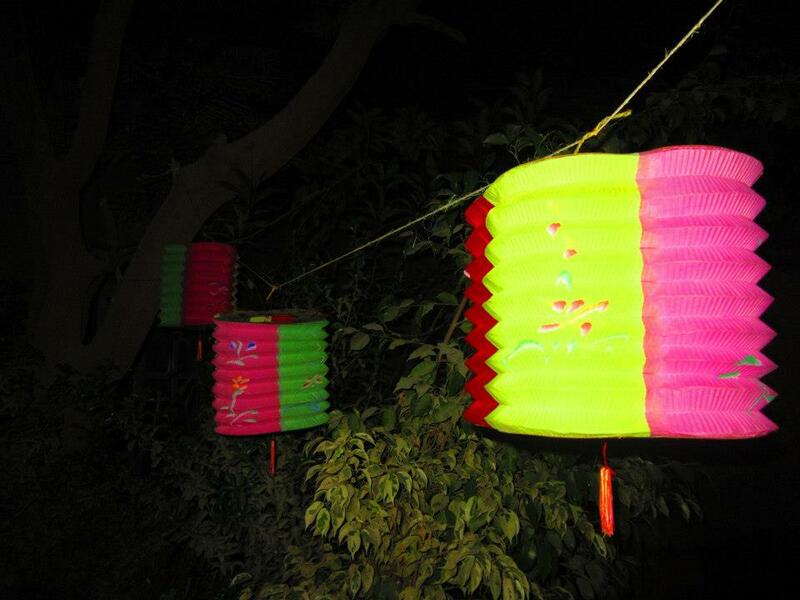 Well, if we were at home in Hong Kong, we'd go out with our Moon Festival Lanterns and look at the moon, with our family and friends. 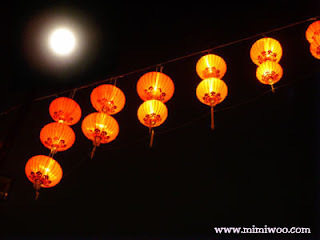 Last night, my Dad messaged me that he and Mum were going to my PorPor's (maternal grandmother) for Moon Festival dinner, because Moon Festival is about gathering with family & those that we love. Between you & me .... YUCK! 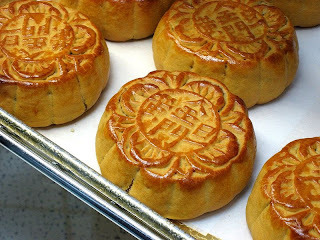 I am not into Moon Cake but, both The Trousers and The Boy love them!! 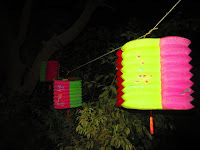 Moon Festival is a time for gathering, as I say, with family & loved ones. For those that cannot be with family, we can all look at the beautiful moon and think of them. We are all under the same moon. all the people were sharing this moment"
This year, we will be meet with good friends & take the kids down to a beach here in Dubai in the evening. 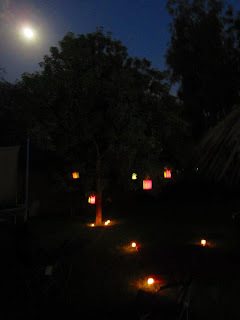 We will have a picnic, enjoy a few homemade lanterns & looking at the Moon at her most beautiful. As expats, there seems to be an extra-poignant aspect to it, being away from those we love, we will look at the Moon and think of those far away, that we miss at these times. You didn't believe me about the Rabbit, did you!? 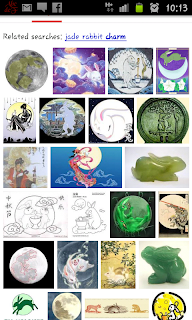 He is the Jade Rabbit & HE is the one that makes the Immortality Potion/Pills. On the Moon.